Three people were found dead in a single car in Snohomish County last Friday. The crash happened on Thursday night, but the scene was not discovered until the next morning because the car had veered off the road and into a thick patch of blackberry bushes. Police are still investigating the cause of the accident. A man was killed last Friday in Tacoma after he was struck by a rental truck. Police investigated the scene of the accident, but did not arrest the driver. 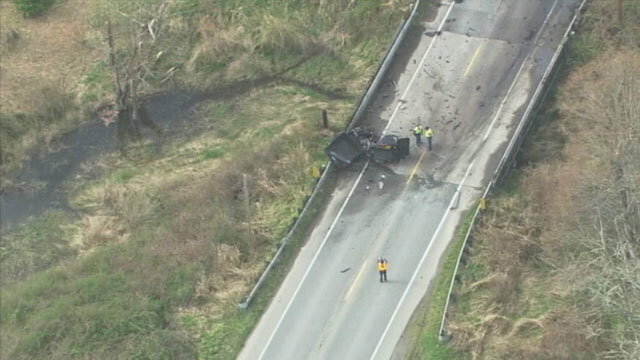 A crash on Sunday left two people dead in Kent, after a car was struck broadside while turning. Both of the people in the turning vehicle were killed, while the people in the second vehicle sustained minor injuries. Police closed the road to investigate the cause of the accident. An infant traveling in the turning car survived with minor injuries. Two people were injured, one seriously, after a two-car crash on West Marginal Way Southwest on Monday. The collision left one car tipped on its side on the side of the road. Early reports stated that a garbage truck may have been involved in the motor vehicle accident. Sunday’s wind storm caused problems across Western Washington. A tree in Seward Park came crashing down on an SUV, killing a man inside. His toddler was also in the car, but survived with minor injuries. The man who was killed was Eric Medalle, an artist and designer on the popular Pokémon game series. A British cyclist who had just embarked on a long-distance ride was struck and injured by an SUV near Forks on Sunday morning. Oliver Arnott had planned a 5,500 mile bike ride, beginning in Vancouver BC and ending in Panama. He was transported to Harborview Medical Center in Seattle. A crash between a dump truck and a pickup truck left one driver dead near Fall City on Wednesday. Police believe that the pickup truck veered in front of the dump truck just before the collision. They are continuing to investigate the cause of the crash. A young man who was struck by a car on March 9th succumbed to his injuries this Wednesday. Parker M. Lang, 18, was a recent high school graduate with dreams of becoming a doctor. Police do not believe that they will be seeking criminal charges against the 16-year-old boy who was driving the car involved in the pedestrian accident. One person was injured after a truck slammed into a line of three cars stopped for traffic on Highway 16. One person, the woman driving the car in the very back of the line, was transported to a local hospital and her car was totaled. Police cited the truck driver for negligent driving, but they do not believe that drugs or alcohol were a factor in the crash. State troopers responded to the 130th Street overpass on Thursday morning to find a van that had crashed through the guardrail hanging over I-5. The driver of the van had left the scene. Only a few hours earlier, police responded to a burning car on the side of the freeway in Kent, but found no signs of a driver or any passengers in the wreckage. Investigations into both of these accidents are still ongoing. Ride the Ducks, the Seattle tour company that admitted to 463 safety violations after a deadly crash involving their vehicle in 2015, will pay $222,000 in penalties to settle a Washington State complaint. An additional $111,600 in fines had been suspended, provided that the company keeps up with testing requirements for the next two years.